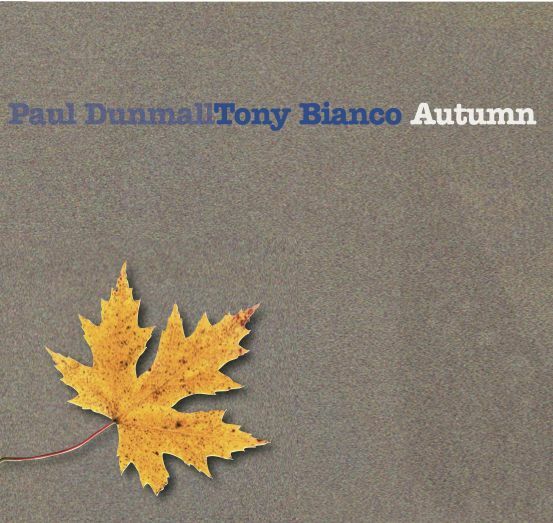 Its wonderful Paul Dunmall has finally got the recognition he deserves with his recent stunning Hamlyn award win! and testament to FMR continued support for him and his fantastic playing, an artist who stands at the top of his art and can hold his own with any saxophonist on the planet !!! 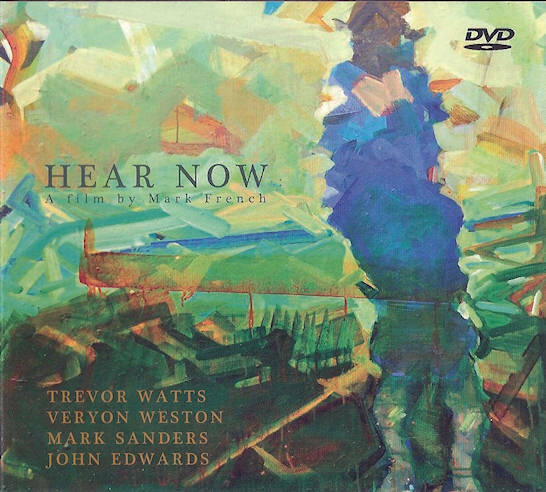 now with his FMR releases into the 90s over 30 years we offer a very new recording featuring him on tenor Saxophone along with the ever wonderful Mark Sanders on drums and percussion and Alan Niblock bass not much to say abut the music, its as riveting, illuminating and compelling as ever!!! When I look back over 45 years of involvement with improvised music I consider myself very fortunate to have played with so many great musicians. Reflecting recently on these past events, it occurred to me that the acoustic ambience and environment in where we played had a significant bearing on the outcome of the music, whether it was created within a small studio, a club, concert hall, or a cathedral. This album, albeit recorded in a studio, in a way attempts to recreate some of those environments by imagining situations that all of those taking part, have experienced at one time or another, without limiting the scope of the overall improvisation. Some tracks involve musicians who I have played with for what seems a lifetime, namely Trevor Taylor, Philipp Wachsmann, Marcio Mattos and Jon Seagroatt. The others I have either met since returning to improvised music in 2016, as is the case with Neil Metcalfe and Francois Carrier, or with Steve Beresford, someone I played with just the once in the very early seventies and become reacquainted with in 2017 when he, I and Trevor recorded The Kontakte Trio (FMR ). Regardless of where and when, all of the musicians involved are outstanding improvisers who have my sincere thanks for their interest and support. “Music for a Free World” is Mr. Sewelson’s first recording as a bandleader in almost 40 years since the 1979 release of “Synchro-incity” on TFYM Records with the 25 O’Clock Band. Since the late 70’s he has appeared on more than 50 recordings with a variety of artists including the recent FMR Release, “Dependent Origination” with his old compatriot Peter Kuhn, Alex Cline, Dan Clucas and Scott Walton. Notable recordings include “Scaribari (two baris, one mind, and a bass…)” with Claire Daly and David Hofstra and the Jesse Dulman Quartet’s vinyl masterpiece “Live at Downtown Music Gallery” on RRGEMS. After their first great FMR album ' Shift' (FMR CD 441) the Australia masters present a new trio record featuring the talents of Robert Burke but this time with Paul Grabowsky as well as the great acoustic bass player Mark Helias. There's 16 relatively short tracks in a truly international project as the music was recorded in New York and mixed in Italy! 6 new improvisations based on the sea and colours featuring 4 of the UKs great improvisers including the great Paul Dunmall!!! plus paintings by Dunmall wife Lynda! this music is from the first trio tour we did. we drovbaround Norway in my old landcover 110 not the fastest car onnthe road, but it was pretty safe in the snow. I do not remember how many gigs we did, bt the tour lasted about a week. One cgi I remember was at Jazz Alive in Oslo. We had to play three sets and this was some kind of night club with people who came in for a drink or five and were mostly not into jazz music, and definitely not what we had to offer. In the third set I felt blood in my mouth.Afterwards when Told Johnny he said if you have not been bleeding you have not been playing! Standing with John Stevens in the middle and having Johnny on my the other side made me feel like a king! 3 great tracks Aspiration, The Nibble, The Way Out, Recorded live at the Open Gate Theatre Sunday evening concerts series, Center for the Arts, Eagle Rock, CA, 6 November 2016 The second release for American Peter Kuhn on FMR leading on clarinet and Bb Clarinet, saxophone and bass clarinet We are very happy to introducen this great new voice to FMRs catalogue Outstanding and gutsy improvisation of high order! esis a recording of a great gig at the Mac Birmingham, with the dream rhythm section of Edwards and Sanders , the master Dunmall and the wonderful American saxophonist John O'Gallagher! Recorded at the Lamp Tavern Birmingham, 10/10/2017. and Recorded, mixed Matthew O'Malley. This wonderful improvisation features 3 tracks 'Sign of the times', Talior' and 'Blues in the colour on my beloved' Wood engraving Paul Dunmall. Produced for FMR by Trevor Taylor. great set of high quality improvisation continues Udo SchIndlers recent work on FMR! AFRIT NEBULA takes elements of avant-jazz, rock, Middle Eastern and Afro-Cuban sounds to forge a distinctive musical identity. The trio’s nine-track debut album,Triality, to be released on the FMR label this month, showcases eight original compositions ranging from the haunting to the incendiary. AFRIT NEBULA features Elaine Edwards (tenor & soprano saxes, flute, keyboards), Ken Edwards (fretless bass guitar, vocals), and Jamie Harris (percussion, vocals). A live recording from November 20th 2015, this music was recorded at the Pollat Pavilion Munich and features the trio of Udo Schnldler clarinets, saxophones , cornet, euphonium with Johannes Ollinger amplified acoustic guitar and toys and Dine Done on double bass, water-heone and toys, as part of Udo Schindlers Salon for Klang Kunst Exceptional improvisations by seasoned improviser on the vibrant Berlin scene! Freeley improvised music from the masterful duo of Canadian Saxophonist Francois Carrier and Drummer/percussionist. Michel Lambert, performing live at Ryans bar in Stoke Newington, London in 2015. seven tracks showing great depth and discussion between the two long standing collaborators , supporting and pushing each other to great heights!! Spontaneous, accidental, uncalculated, surprising, unheard-of ...All this and much more applies to improvised music! As in life, the unexpected cannot be ruled out. But sometimes even everyday situations call for improvisation. As part of the soundart series Akustronik at the Künstlerhaus Streitfeld in Munich, curated by Rainald Schwarz and myself, I had planned a trio with brass player Philipp Kolb and a guitarist with electronics equipment for the performance #5 on 31 May 2014. On the mornig of the gig, the electronics partner, resoundingly and painfully, canceled his participation. Hectic calls around of course failed to find a suitable replacement. Always willing and motivated, Sebastiano Tramontana, our Italian trombone poet living in Munich, stepped in. However, in a guaranteed ACOUSTIC fashion. To meet curatorial guidelines, Philipp Kolb and I spontaneously activated our electric/electronic equipments, complementing the acoustic instruments. The Kontakte Trio ( Beresford , Brighton and Taylor) evolved from one FMR's 30th year anniversary recording sessions at the Toni Visconti studio in Kingston University earlier this year. Taylor and Brighton had been playing together since the early 70's yet never had the opportunity to work with pianist and electronics improviser Steve Beresford. The primary objective as a trio was to explore their common interests in the electronics aspect of improvised music as well as that of the acoustic instrumentation. The recorded output, they feel, is uncompromising and surprising. Mixed and mastered by Jonathan Chan Check it out! The 'A' team this time with terrific pianist Mathew Ship play two extraordinary sets at Londons Cafe Oto in Feb 2010 and never released till now!! Surprising and tantalising improvisations of wide ranging creativity from three great players, Szilard Merzei on viola and Marina Dzukijev on piano , led by the irrepressible and wonderful drummer Vasco Trilla, his third album for FMR. With this combination you don't know what to expect, chamber music?, sombre quiet introverted? none of it! Making music on the same instruments in a duo, could have turned out as boring. Usually in this setting, musicians will move in a fairly limited sonic space. Not so with ad hoc improvisation. As for the possibilities of sound generation, this field knows virtually no boundaries The duo by no means stuck to the lower register. Bass and contrabass clarinets have a large range and are able to reach extremely high pitches in skillful hands. Additionally, a freely improvised approach can resort to overtones that, within the scope of the Salon in Krailling, were at times blasted out in strident attacks. By this means, Volquartz and Schindler were able to supply their musical dispute with the intonations of spoken language and strong emotional fervor... A musical experience full of warmth and surprise! 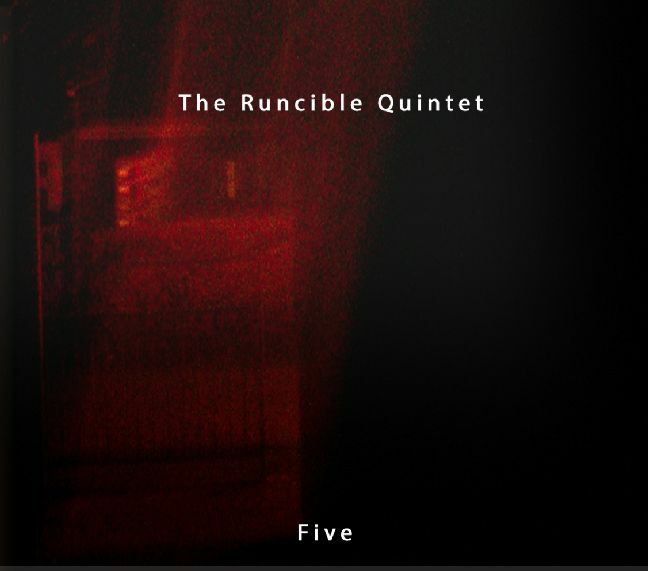 Reincke//Hughes//Popple focus on the music of "The Trio" and thus the compositions of John Surman, Barre Phillips and Stu Martin. Formed in 1969, “The Trio" was one of the most original and inspirational European or European-based bands (Martin and Phillips were American expatriates), whose music has unjustly been forgotten. Their compositions are often short and varied, generally setting specific parameters of rhythm, dynamics, or harmonic lattices. Reincke//Hughes//Popple provide their own original interpretations, using the tunes as a springboard for powerful swinging moments, free improvisations, sizzling duets and unexpected energy explosions. 5 new sparkling improvisations from their European tour recorded live at Experimental Sound Gallery in St Petersburg Russia in may 2014! For several years now bass clarinettist Chris Cundy has kept a steady recording output that represents mainly free improvisation and experimental music, but he’s also worked as an arranger and accompanist alongside a string of alt-pop artists including Little Annie, Ladan Hussein (aka Cold Specks), Baby Dee, Devon Sproule, and Fyfe Dangerfield. There have also been pictorial soundtracks made in collaboration with the electronica group Longstone and he has produced music for theatre. With Gustav Lost ( a play on the composer Gustav Holst perhaps?) he presents an album of instrumentals played by an ensemble who take on a broad range of Cundy’s musical ideas, while allowing a spontaneity of its own. The Bonga/Champion/Mwamba Trio was formed in the summer of 2012. At the time Ntshuks was in Newcastle on tour with the RSC and approached Paul Bream of Jazz North East about the possibility of playing whilst in town. Ntshuks suggested asking Corey to play and Paul suggested Andy Champion as the third member of the group. Corey & Andy have a long and varied musical history, and Ntshuks and Corey played as part of Orphy Robinson’s Spontaneous Cosmic Raw Xtra, as well as in Corey’s own group, Heralds. Paul programmed the trio to appear at the Very Long Splinter end of season concert at the Bridge Hotel. The musical rapport was instantaneous and each subse- quent meeting has been explosive. The trio appeared at the Gateshead International Festival in 2013, supporting the Louis Moholo-Moholo / Alexander Hawkins Duo. The music on this CD was recorded at the Paperstone Studios in Nottingham in Nov 2013. The trio spent a day playing in a beautiful room performing a series of improvisations that form the Paperstone Suite parts I-VII. Vasco is really one of the modern masters of a new 'free' approach to drum set and percussion Defying the accepted conventions of speed, and 'flashy' drum set playing, making an incredible musical statement. Taking us through myriad of tones and emotions along a varied and tonally hybrid journey. A must have for all drum set players who want to add something a little different to their sound world! Long time musical compatriots embark on a journey of pure electronic sound This is the first time Paul has recorded exclusively with the wind synth (a Yamah WX11) and along with the electric guitar they produce nine tracks of outstanding creative music! fantastic new improvisations recorded in Cardiff and introducing a major new and wonderful voice on FMR , bassist Ashley John Long! nothing more can be said part from just sit down and listen! The three musketeers meet again for yet anther tussle of the sound titans! This is the 7th cd by the ensemble that has no fixed personnel, and whose members are only interested in using state of the art electronics as part of their weopandy, a group started and largely curated by Taylor a long time lover of electro music and improvisation its also interesting in that for the first time Paul Dunmall uses (to great effect) an electronic wind instrument the WX11, capable of the most amazing sounds and octave stretches when in the hands of a musician with ultra sense of musical integrity Attibutes Dunmall has in droves!! Hes also at his best here acting as a foil for Gibbs rich guitar tapestries and Taylors large percussion setup and electronic mallet keyboard soundscape, always creative wether on the WX11 as here or also on flute and saxophone on other of the 5 engrossing tracks! Doyens of this music will know that Tony Marsh passed away a few years ago now, and this was one of his last recordings. A much loved drummer percussionist of supreme talent and the backbone of many ensembles. Consisting of 4 tracks the first was recorded live at the Vortex in London in 2010 by Gus Gusseti, whilst the the remaining 4 where recorded in the studios of the University of England in Bristol in 2007, With none of this music previously released we are lucky this great trio (that also boasts the incredible bass player John Edwards) can be heard at their peak. Now forming an impressive collection on FMR (previous cds included Kathmandu, All out, Shores and Ditches, IO , and the Russian concerts in 2 releases), OUTGOING was recorded on tour in Europe. The music here recorded at one concert at londons Vortex club in May 2014 The mainstay are Canadian Musicians saxophonist Francois Carrier and drummer Michel Lambert with British bass player extraordinare John Edwards and legend Steve Beresford piano added to the already wonderful ensemble brimming with talent and creativeness! Paul Dunmall leads a highly stimulating session of almost classical improvisers ensemble The guitar of Philip Gibbs is balanced by the strings of Alison Blunt and Hanna Marsh, fast making big waves in the improvising circles with their musicality and creativeness All of this topped of with the serene sound of flute virtuoso Neil Metcalfe and off course Dunmall himself, ever omnipotent, providing the spark and trigger for these often ultra delicate excursions into sound this record is a milestone in just how good improvisers are, sounding often as if they played together every day and rehearsed for long periods difficult introverted written contemporary music, but no its all improvised . Fabulous music!!! that will these musicians reputation no harm at all. The sting players are are stunningly good and add so much to the music! Following on from their critically acclaimed albums of Mariners Way & Northern Lights, Susie Hodder-Williams (flute/alto flute/piccolo) & Chris Caldwell (sop/alto sax & bass clarinet) join forces with the percussionist, experimental jazz drummer and contemporary music label owner of FMR Records, Trevor Taylor, for the musical exploration of The Sound Within FMR CD390-0115. If Mariners Way evoked the mythical journey of the ancient mariner across the moors of South West England, The Sound Within journeys to a place which is within all of us, totally familiar yet often overlooked, a place where insights are created. This is where the formless becomes form, through the process of being in the moment. The three musicians weave an improvisational tapestry responding to what's happening around them. Their individual thoughts creating their feelings and responses both through the texture, length and quality of the note they produce and the often overlooked power of stillness. The musicians here came along with an openness of not being tied to any formalised agendas or attachment to outcomes. Through this they touch the beauty of being truly free, a place where universal mind, personal thought and consciousness exist together in perfect harmony. The Scrambling Ex, powerful trio featuring 3 major European improvisers! After their stunning two cds Live in Russia Vol 1 and 2, eloquent French Canadian saxophonist and drummer par excellence Michel Lambert excel yet again in 9 new improvisations recorded at Resonance studios in their home town of Montreal They are ever becoming a powerful and confident voice in the music!! Trevor Watts first and amazing solo saxophone recording takes him into new territory great to see a musician of this statue totally in his own space!